1) Virtualization : It is one of the main technology enabler for Cloud computing.Virtualization software enables a physical computing device into multiple “virtual” devices, each of which can be easily used and managed to perform computing tasks. With operating system–level virtualization essentially creating a scalable system of multiple independent computing devices, idle computing resources can be allocated and used more efficiently. Virtualization enables us to speed up IT operations, and reduces cost by increasing infrastructure utilization. The entire process can be automated through which the user can provision resources on-demand. By minimizing user involvement, automation speeds up the process, reduces labor costs and reduces the possibility of human errors. 2) Service-oriented Architecture (SOA) : Cloud computing adopts concepts from Service-oriented Architecture (SOA) . Cloud computing provides all of its resources as services, and makes use of the well-established standards and best practices gained in the domain of SOA to allow global and easy access to cloud services in a standardized way. 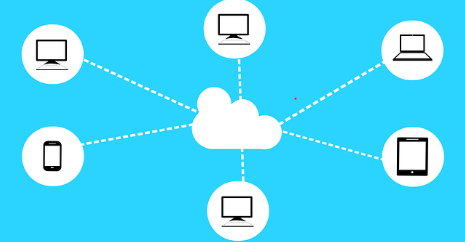 The cloud Computing aims to cut costs, and helps the users focus on their core business instead of being impeded by IT Infrastructure obstacles. Self-service provisioning: End users can create compute resources for almost any type of workload on demand. They can also destroy the resource as per their convenience.This eliminates the traditional need for IT administrators to provision and manage compute resources. Elasticity: Companies can scale up as computing needs increase and scale down again as demands decrease. This help them eliminate the need for massive investments in local infrastructure which may or may not remain active.